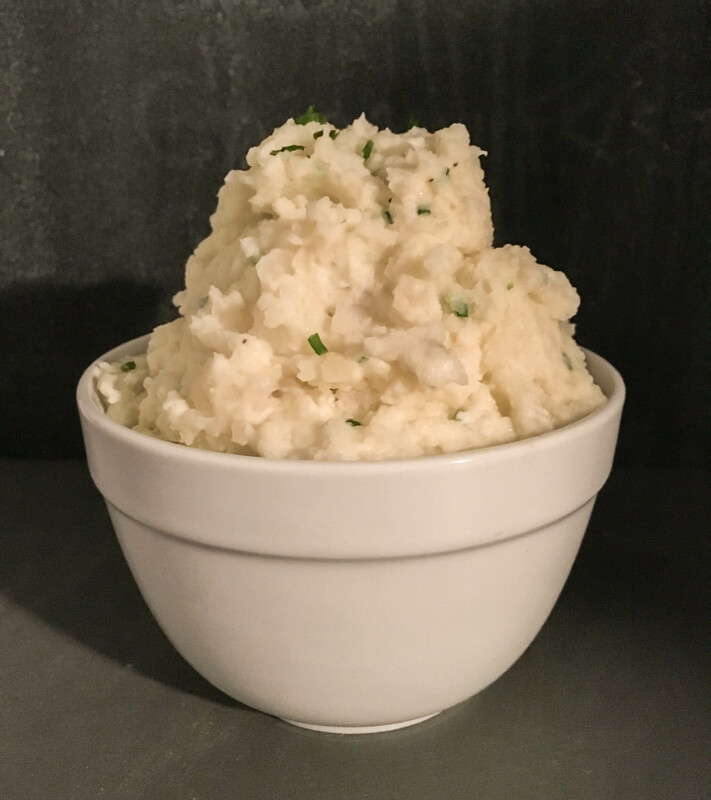 Goat Cheese & Chive Smashed Potatoes – Damn, I Can Make That! It wasn’t until I tried goat cheese and chive smashed potatoes at Bobby Flay’s Bar Americain that I knew I had to get over my fear. These were the best damn mashed, smashed, potatoes I’ve ever had. I needed them in my life. The good news is, with smashed potatoes you don’t have to worry about them being “perfectly whipped”. You want a little chunkiness in them. Which means you don’t need to use your mixer, just your muscles. Which also means you don’t need to spend hours wiping milk and potatoes from your ceiling. Boil the potatoes in a large pot for roughly 20 minutes, until soft. Drain water and place potatoes back in the pot. Begin to “smash” the potatoes with a wooden spoon, smasher, or I even used this pastry blender. Not what it’s intended for, but still does the job. Once chunky, add in the chives, goat cheese, salt and pepper. Stir until fully combined. These also make great leftovers. When ready to heat, crank the oven to 350 degrees and bake for 20 minutes. This entry was posted in Sidekicks and tagged chives, goat cheese, potatoes, russet potatoes, smashed potatoes. Bookmark the permalink.